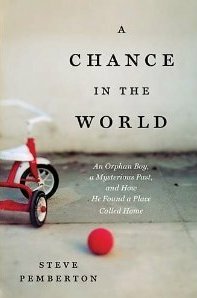 Boston College will host a book signing and reading by alumnus Steve Pemberton ’89, whose memoir, A Chance in the World: An Orphan Boy, a Mysterious Past, and How He Found a Place Called Home, tells the story of how a mixed-race, mistreated orphan living in foster care sought and found identity, family, and success. The book event is Mar. 15 at 6:30 p.m. in Devlin Hall, room 101. Sponsored by Boston College Magazine with various co-sponsors. Steve’s book was highlighted by Bookmarks in September. This entry was posted in Alumni Authors and tagged family, heritage, memoir. Bookmark the permalink.